2009 F60 Formula 1 car. Michael Schumacher is racing in a Formula 1 car again, and the whole world is excited about it. He is a racing legend, and is perceived by many as the ‘best’ Grand Prix driver there is. Schumacher, who has temporarily taken over Massa’s race seat following the Brazilian’s freak accident last weekend in Hungary, is now undergoing extensive training programs to prepare himself for his first race since 2006’s Brazilian Grand Prix. Highlights of his training program would be made up by: physical exercise, driving in a Ferrari simulator and actually driving a real Formula 1 car. All of these have to be cramped within three weeks, since the European Grand Prix at the streets of Valencia happens on August 23rd. With the physical exercise, the 7 times World Champion will focus on his stamina and neck muscles, especially after suffering from a motorcycle crash in February. 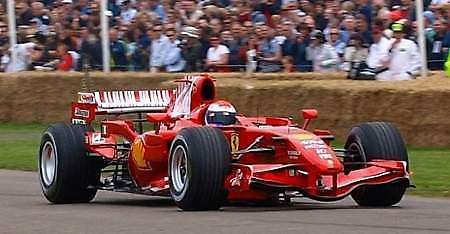 2007 F2007 Formula 1 car. The Formula 1 simulator is an important part of his training. Modern Grand Prix drivers rely on this tool, since it is the next best thing there is, after driving the actual car. Especially these days, when there is a mid-season testing ban, it becomes more important. The simulator offers real-life driving scenarios, with tracks that are developed using laser technology and satellite images. Even the virtual car features real-life driving characteristics, and various scenarios can be added, such as different weather conditions, rain for example. The simulator works like those high quality racing games available out there, although it is definitely better. The part where the 40-year old has to drive the real car is the most important one. Unfortunately, there is a mid-season testing ban. However, there is a loophole. Schumacher is allowed to drive the F2007 race car, which is the car used for the 2007 championship. The car was not supplied by Ferrari and wasn’t classified a test car. In fact, the car is provided by F1 Clienti, which is a workshop owned by Ferrari, meaning the German is allowed to drive it. Schumacher just concluded his first test yesterday, at the Mugello circuit and the results were positive. 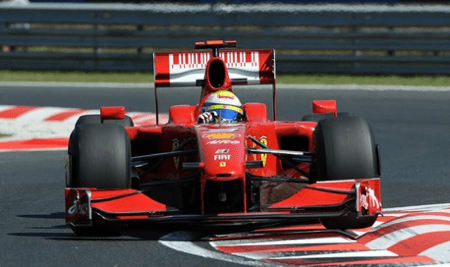 The car is of course outdated and was developed using different rules set by the FIA, but Ferrari fitted slick tires (from a GP2 car) and ran the car. Ferrari has requested permission to use this year’s F60 race car, but has only received the green light from FOTA (Formula One Teams Association). The Prancing Horse is waiting for the FIA’s verdict regarding the matter. owhhh… this is going to be damn interesting.. seeing schumi back on track is the most awaited thing in racing world.. the finest driver i’ve ever seen.. with all the new rules, this could be something to see whether he is still the best out there.. but whatever the result schumi will always be my favourite.. article from PaulTan.Org.